of blood healing. Disturbing her prayers might prove to be lethal. Weapons with damage bonuses against beasts, such as the Saw Cleaver and the Saw Spear, are very helpful for this battle, so consider upgrading one if you haven't already done so. You should also have the Radiant Sword Hunter Badge at this point, which will allow you to purchase Fire Paper in the Hunter's Dream; you may either buy a few from the shop or find some on a corpse in the Cathedral Ward. Another corpse in the same area holds three Numbing Mists, which are helpful for this battle. 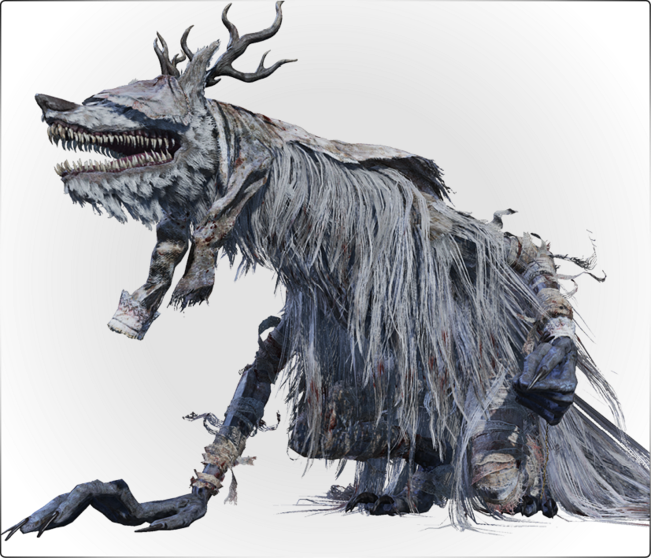 The Flamesprayer is extremely effective against Vicar Amelia, as are Molotovs and Oil Urns; and as always, stock up on Blood Vials and Quicksilver Bullets before heading out. 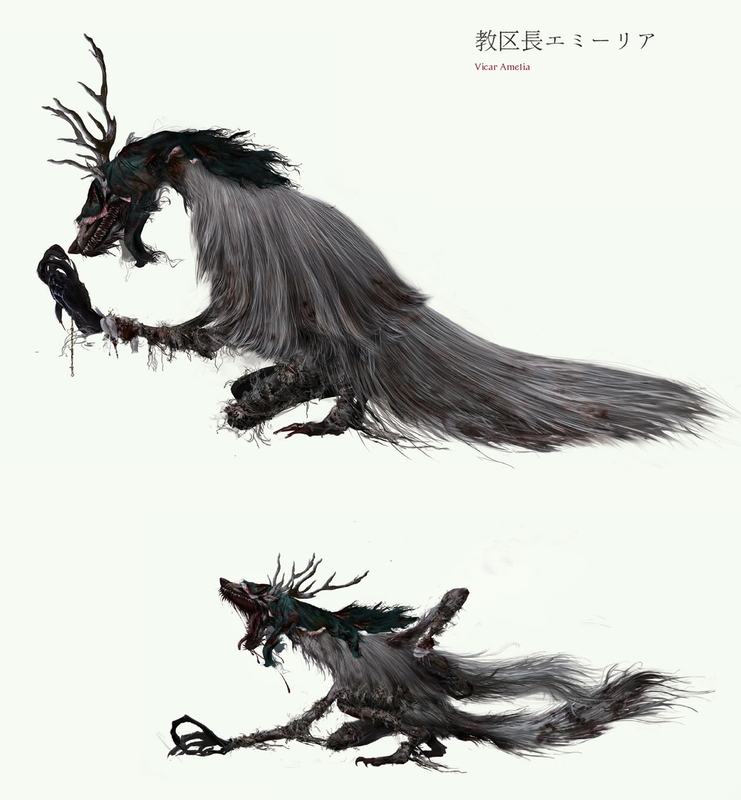 Vicar Amelia moves relatively slowly, but can cover long distances with her jumping attacks. In close combat she uses sweeping horizontal swings with long reach as well as a forward Shockwave and a few basic combos. She is highly weak against both fire and weapons that deal extra damage to beasts, making the Saw Cleaver or the Saw Spear ideal weapons for this battle when used with Fire Paper The Flamesprayer is highly effective as well, especially when used with Oil Urns and Bone Marrow Ash. You can injure her head and all four of her limbs by hitting them repeatedly; doing so will cause her to stumble, and the injured limb will take an additional 50% damage. Trying to get behind her is tricky and requires proper timing due to the delay on most of her melee attacks; staying there is effectively impossible, because she will immediately backstep away and reposition herself facing you. During the first Phase of the battle she will move and attack slowly, usually only using one or two swings at a time but occasionally chaining up to three. During the second Phase, she will begin recovering her health every time it drops below 50% and will attack much more aggressively, running or leaping toward you and adding several more hits to her combos. 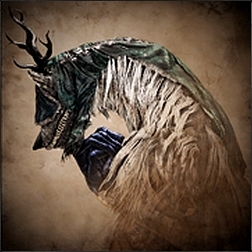 Repeatedly attacking Vicar Amelia's hind legs will stagger her, allowing you to perform a visceral attack from the front; you may also choose to hit her with a Flamesprayer blast during this time, which will inflict enormous amounts of damage if you use a pinch of Bone Marrow Ash and strike Amelia with an Oil Urn before staggering her. Quick R1 combos with the Saw Cleaver or Saw Spear in their one-handed modes are extremely effective if you augment your weapons with Fire Paper, providing a substantial boost to your melee damage. You can deny or cancel her healing move by throwing Numbing Mist at her. She will try to heal but with no success. The boss area is an empty rectangular chapel with no unusual features, forcing you to fight Vicar Amelia head-on with no cover and nowhere to hide. The layout of this arena gives you quite a bit of room to maneuver, which is essential to avoiding Amelia's jump attacks and wide, sweeping swings - just keep the fight to the center of the room as much as possible and try to avoid being backed into a corner. During Vicar Amelia grab attack animations, damage can NOT be reduced by repeatedly pressing buttons (mashing). Despite Vicar Amelia having 999 Slow Poison & Rapid Poison resistances it is still vulnerable to such status. Upon Vicar Amelia's death Grand Cathedral lamp will spawn, which will allow you to warp to the Hunter's Dream. 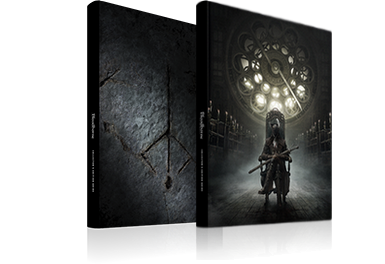 Interacting with skull, on the altar, after defeating Vicar Amelia will trigger change of timezones evening into night. Lucy Briggs-Owen also voiced Adella and Impostor Iosefka. Axe-Handle Smash No Mid-range forward shockwave that grows as it travels; quickstep sideways as soon as her fists hit the ground. Jumping Slam No Mid-range jump attack that travels forward four meters; quickstep sideways. Cross Sweep No Spreads both arms and performs a frontal 180-degree pincer slash. Looks like a grab, but isn't. Quickstep sideways of forward past her. Gnashing Grab No Right-handed close-range grab attack with a one-second windup; quickstep backward. Uppercut Sweep No Delayed short-range launcher that strikes a frontal 120-degree arc; quickstep into the attack or away from it as soon as you see sparks from her claws. Phase 1 Strategy: During this Phase you should focus on injuring Amelia's hind legs to stagger her, whether using melee attacks, Molotovs or the Flamesprayer. You can avoid her melee attacks by quickstepping either toward her or sideways in the opposite direction of the swing, but beware that most of her attacks have delays of up to a full second and require you to dodge late in order to avoid being hit. Her Uppercut Sweep is particularly dangerous in this regard and you must pay close attention to its timing - either quickstep backward twice as soon as she begins using it, or once sideways in the opposite direction when she swings. Beware that if you stand beside her at very close range, you'll need to keep an eye out for her sideways swipes; if she tries to hit you with one, quickstep backward. Recovery No Clasps claws together in prayer and recovers health; attack her to cancel it or hit her with Numbing Mist to disable it. Super Axe-Handle Slam No Roars, then performs an Axe-Handle Slam that creates a long-range shockwave. Quickstep to either side. Bite No Short-range bite with near-instant startup. Too fast to evade reliably; avoid standing directly in front of her at close range. Jumping Double Slam No Stronger version of the Jumping Slam performed with both fists; quickstep sideways. Tantrum Combo No Slowly raises both arms above her and performs a rapid multi-hit combo; quickstep sideways or backward. 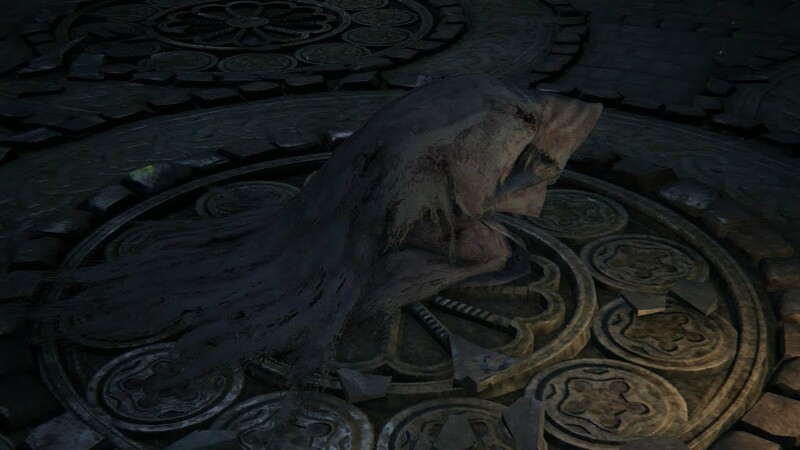 Phase 2 Strategy: When Vicar Amelia's health falls to 50%, she will begin using her Recovery technique to restore it, and will fight more aggressively. You can temporarily disable her ability to heal herself by striking her with a Numbing Mist, but your most important objective during this Phase is to avoid her much faster combo attacks while dealing as much damage as you can. You may need more than one quickstep to evade her Phase 2 attacks, so keep a close eye on your stamina; continue to focus on injuring her limbs to buy yourself enough time for a few attacks and beware that she will now change up her mid range Shockwave attack with a long-range version that can hit you from across the room. This attack can still be avoided by quickstepping sideways and offers a chance to hit her a few times if you're close to her when you dodge it. Try to keep her at mid-range if you can, and avoid standing close enough that you'll need more than one quickstep to get away. Continue to wear her down with your melee attacks and Fire Paper, and if you have no Numbing. Mist when she begins healing herself, dash in and hit her with (m) combos or transformation attacks to cancel her recovery. 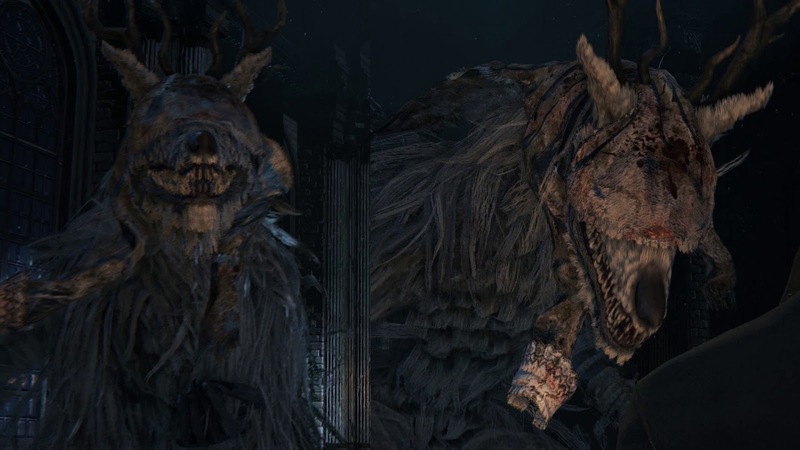 Vicar Amelia/Cathedral Ward: Go straight from the Cathedral Ward lamp, up the stairs, through the gate (must have unlocked gate first to take this route), and she will be straight ahead, near the ladder leading up to the body with 6 numbing mists. There are a lot of enemies in this area, so unless you clear them out first, the two of you will have a lot of fighting to do before you ever even get to Vicar Amelia. Seek the old blood. Let us pray... let us wish... to partake in communion. Let us partake in communion... and feast upon the old blood. Seek the old blood... but beware the frailty of men.